This mask belongs to Timberlake Wertenbaker’s Play, Love of the Nightingale. Ask for it in a different paint treatment if you’d like. There’s no extra cost. 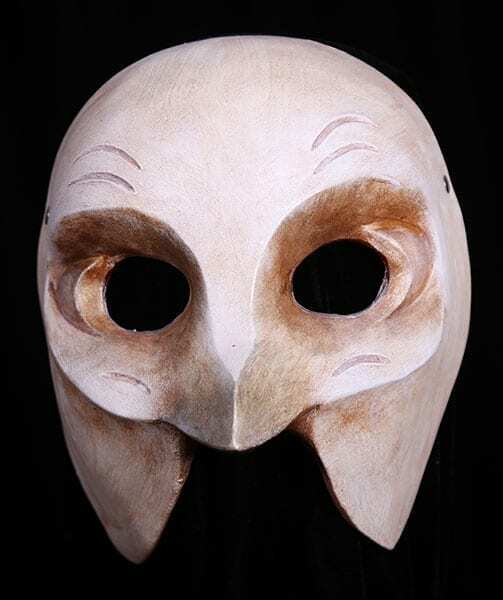 This lovely bird half mask is usable for many styles of masked theatre. It has a wonderful expressive range.